IT WAS a closely fought competition with only three votes separating the winner on Tuesday afternoon. But in a rush to the finish line early this morning (midnight, December 12) the BP at Nyngan has won the Iveco Top Stop of the Year title and $3000. In total there were 839 votes, the breakdown saw 384 votes for BP Nyngan and 346 for Lake Coolmunda. 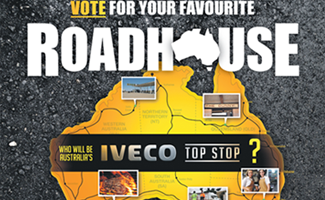 Some 92 votes came in for the Dingo Roadhouse while the Dulacca Truck Stop (10) and Gold Nugget (7) finished off the vote count. Thanks to everyone that voted and took the time to enter in their favourite truck stops during the year. See the next edition of Big Rigs for more information about the winner.